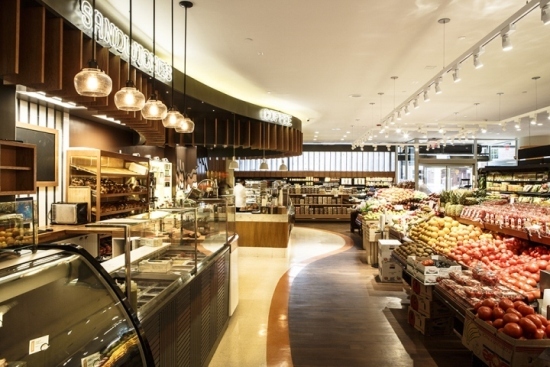 Designed by Creative Studio, Breadberry is a high end kosher neighborhood supermarket that offers a variety of food and groceries. 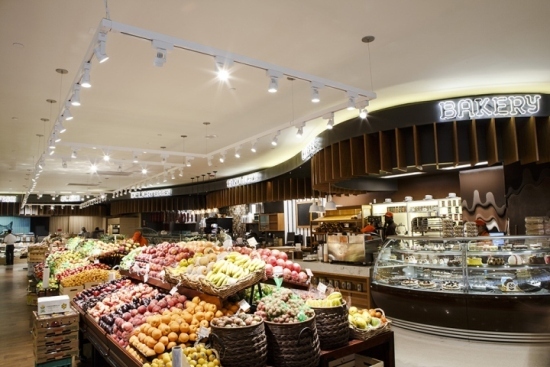 The design of the store references the nostalgia of an old neighborhood store, focusing on natural connections and a warm inviting environment. 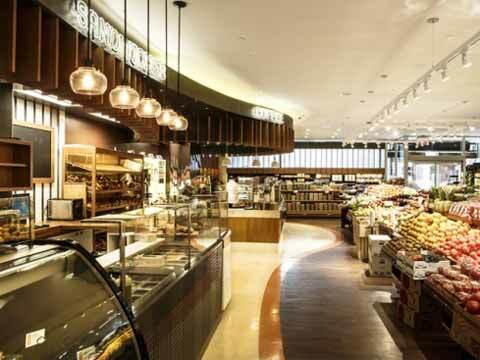 The store's interior is soft with intense use of wood. Neon signs makes it easy navigation inside the store. Wood flooring and custom wall covering runs throughout the aisles, providing warmth and putting customers at ease. The bakery area features custom cases that were designed as a continuation of the soffit, while a three dimensional chocolate drip wall provides a luscious and yummy backdrop for the pastries. A backlight milk white plexi-glass case sits behind the coffee bar, designating this area and enticing shoppers from afar. In the deli, hot food and sandwhich zone reclaimed barn wood tiles, dark colors, butcher block and custom refrigerator cases make this area feel like its own safe haven and provide an ideal background to display all of the homemade delicacies. 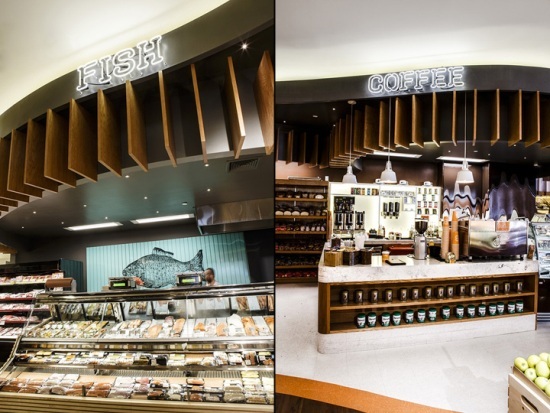 The next stop on a customers journey is the sushi bar and fish counter. Linear panels feature a lighter wood, subtly referencing a minimalist aesthetic and an oversized fish graphic provides personality.